In the year that's basically already dedicated to the next generation of gaming, Google has gone first. Google Stadia is the very first true next-generation gaming service, and it's not actually a console. It's a streaming service, basically the first real foray into "Netflix, but for games", and from everything we've seen so far, it's seriously impressive. Based on the Project Stream technology Google launched via Chrome last year, which let you stream Assassin's Creed Odyssey to your browser, Google Stadia is all about letting you play games on any device, on any screen, as long as you've got an internet connection. Sounds too good to be true right? Well, not for Google Stadia. Ahead of its full launch later this year, here's everything you need to know about Google Stadia. What that means that you as a gamer though, is not having to keep up with the latest physical hardware, like having a top spec PC or the latest games console. 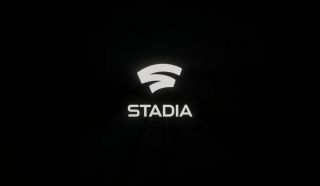 Google is positing that all you'll need going forward is Google Stadia. Of course, that all sounds well and good, but will it work? There are already concerns around internet speeds, buffering and the ability to play games offline via Google Stadia, none of which Google has addressed yet. The Google Stadia release date is set for sometime in 2019, and it'll launch in the US, Canada, the UK and Western Europe. There are plans to expand to other countries from 2020 too. Google plans to reveal more information on Stadia this summer, so no doubt Google might make an appearance at E3, although more information could come at its own tech summit, Google I/O, in May too. What's the Google Stadia price, and how much will it cost? Now, here's the sticky wicket. There aren't any details as to how much Google Stadia is going to cost, or really how it'll work. It's unclear whether the Google Stadia price will be a monthly or yearly subscription a la Netflix and other gaming services, or whether there will be a storefront through which you can choose the games you want to play - either to rent, or to buy. According to Google's Phil Harrison, the Stadia “platform is very flexible and will enable developers to engage with their fans in a variety of ways", which could suggest a number of pricing options for the service. I assume it'll be a monthly subscription, as ownership complications around streaming do get a little odd. How much it'll cost though, is an interesting question. For me, this is the biggest question about Google Stadia, as services like this already technically exist, so that could shine a light on how much Google's own game streaming service could cost. PlayStation Now, for example, costs $19.99 / £12.99 a month, or $99.99 / £84.99 a year, and gets you unlimited access to PS3 and PS4 games streamed over the internet. Then there's Xbox Game Pass, which costs $9.99 / £7.99 a month and gets you access to Xbox exclusives like Sea of Thieves. Nvidia's streaming service, Nvidia GeForce Now is currently free, but originally costed $7.99 / £7.49. GeForce Now is all about letting you play PC games run remotely from PC's running the latest high-tech Nvidia graphics cards. Judging by the technology, and the raft of AAA games on offer, I imagine we're looking at the pricier end of the subscription model, but we'll have to wait until the summer to find out more concrete information. Is there a Google Stadia console? Nope, Google Stadia is all about running across as many devices / screens as you already own. We're talking phones, laptops, PCs, tablets and more, all through the power of Google Chrome, Chromecast, Google Pixel and the Google Play store. But more importantly, YouTube. When you watch a trailer or a gameplay video on YouTube of a game that's also on Google Stadia, there will be a very obvious Play button that you'll be able to hit to go straight into playing that title. The example Google used was Assassin's Creed Odyssey, one of the only games confirmed for inclusion in Google Stadia's line-up so far, thanks to that Project Stream partnership. What about a Google Stadia controller? You'll be pleased to hear that Google Stadia does come with one bit of kit if you want to buy it - a special Google Stadia controller. Unlike other controllers, the key to the Google Stadia controller is that it will connect directly to the game inside the company's data center, rather than pairing to the device you're playing it on. That's the key to smooth gameplay without any lag, according to Google's Phil Harrison. How that works if you're using a keyboard and mouse though, is yet to be tested. It's important to note though that Google stressed you'll be able to use all your existing kit, so hopefully that includes PS4, Xbox One and other controllers, along with the keyboards and mice you've got attached to your PC. Whether your DualShock 4 is going to produce the same low-lag results as the Stadia's own pad though will be an interesting test. Another couple of key ingredients to the makeup of the Stadia controller is that it includes a "share to YouTube" button, and a Google Assistant button complete with built-in mic. The idea behind the latter is so that if you get stuck in a game, you can ask Google to find you a helpful guide or walkthrough to give you some tips - although it's unclear whether it will only provide YouTube results at present. It's powered by USB-C too, so you should be able to use it with other devices. Bonus! What is the Google Stadia games lineup looking like? Along with Assassin's Creed Odyssey, one of the first Google Stadia games to launch will be Doom Eternal, which developer id Software claims will run at a maximum 4K resolution with HDR and at 60fps. Google has also partnered up with some other developers, including Ubisoft, the CryEngine, Tequila Works, Unreal Engine and more, but its also starting its own gaming studio - Stadia Games and Entertainment. It's this new studio that will be headed up by Jade Raymond, an gaming industry veteran who previously worked at EA, Sony and Ubisoft. Apparently over 100 studios already have Google Studio dev kits, and over 1000 creatives and engineers are working on titles that will run on Google Stadia too.